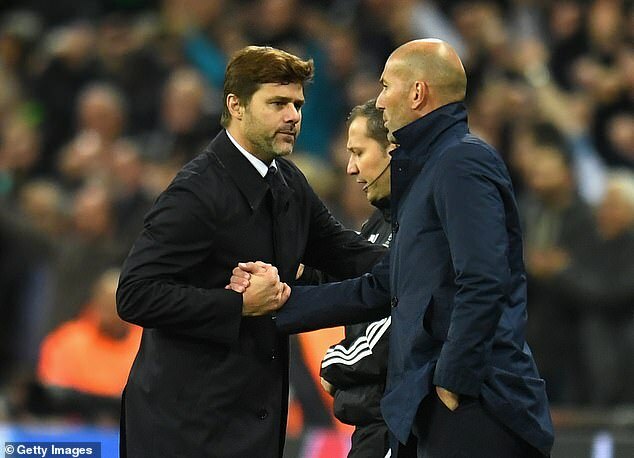 Tottenham manager Mauricio Pochettino – a target for Real Madrid – was spotted leaving a London restaurant on Tuesday night shortly after David Beckham and Zinedine Zidane. 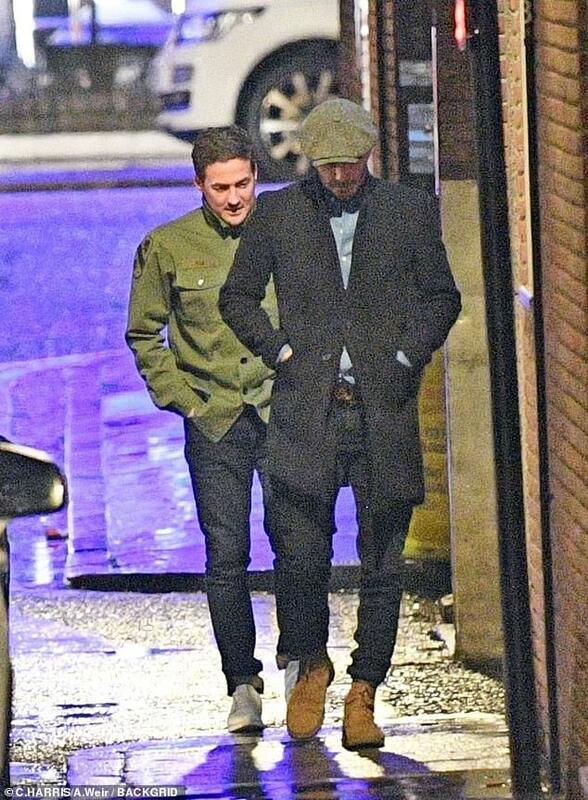 In pictures published by The Sun, the Argentine was seen wearing a navy puffer jacket and jeans as he left, with Beckham – who also brought along his old pal Dave Gardner – and Zidane leaving later. It is understood that Real Madrid legends Beckham and Zidane enjoyed dinner together. Pochettino was not with them, but did come over to greet the pair. 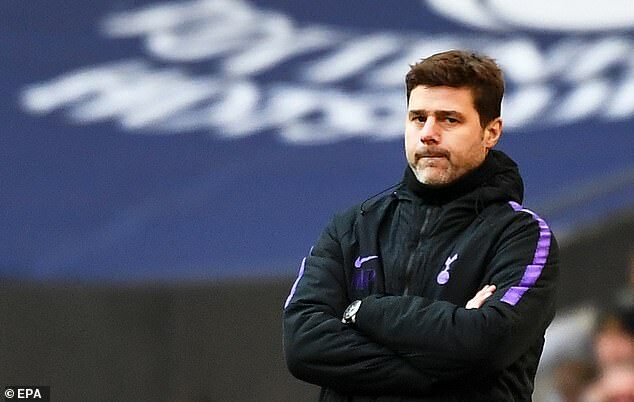 Tottenham manager Mauricio Pochettino – a target for Real Madrid – was spotted leaving a London restaurant on Tuesday night shortly after David Beckham and Zinedine Zidane. 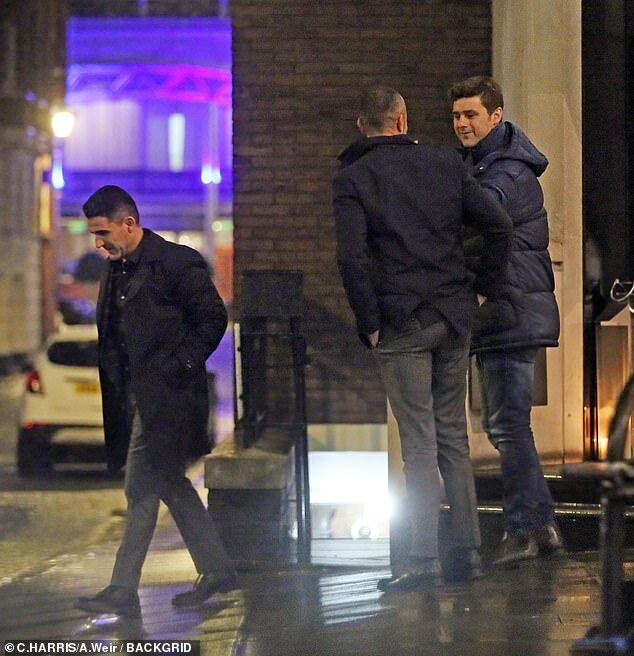 In pictures published by The Sun, the Argentine was seen wearing a navy puffer jacket and jeans as he left, with Beckham – who also brought along his old pal Dave Gardner – and Zidane leaving later. It is understood that Real Madrid legends Beckham and Zidane enjoyed dinner together. Pochettino was not with them, but did come over to greet the pair. Another of Beckham’s former clubs Manchester United are also monitoring his situation, although their resurgence under caretaker Ole Gunnar Solskjaer means they may pull out of the race. Zidane has also been a target to take over at Old Trafford since Jose Mourinho’s sacking in December. 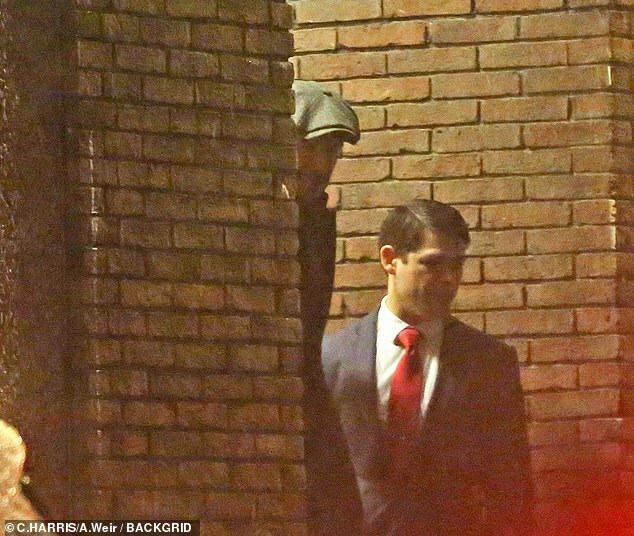 Pochettino’s assistant manager Jesus Perez was also pictured leaving the swanky Locanda Locatelli restaurant in central London. Beckham and Zidane played alongside each other for three seasons between 2003 and 2006 at Real Madrid during the club’s ultimate Galactico era. The pair have remained firm friends ever since, with Zidane managing Real to three back-to-back Champions League wins before quitting last summer. Santiago Solari is currently in charge at the Bernabeu, although he is not expected to last beyond the end of the season. 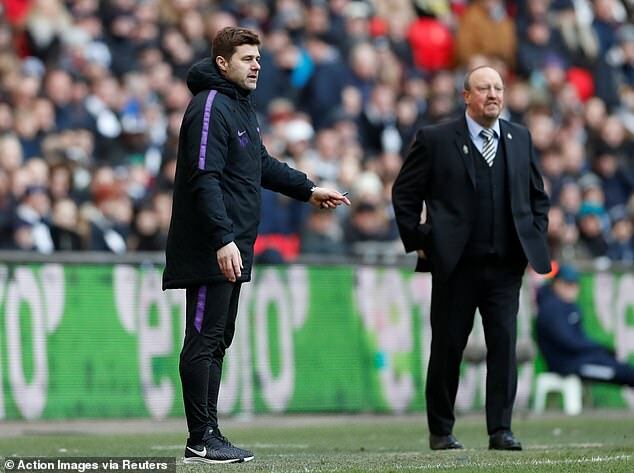 Tottenham have managed to hold on to Pochettino since his arrival in 2014, during which time he has elevated them into Premier League title contenders and Champions League regulars. They desperately want him to remain in charge next season when they will be running out in their new stadium. However, it appears they face an increasing battle with Real Madrid for his services. Asked in December whether he had grown tired of the chatter around him leaving, Pochettino said: ‘No, no. Why? This type of news I think does not upset or bore people. ‘I prefer that newspapers talk about things like this than talk about “Tottenham is going to sack me” or “people are tired of me” or “we are in a difficult situation”. He signed a five-year contract in May and has publicly joked about chairman Daniel Levy being ‘concerned’ about him potentially departing. ‘Daniel does not laugh,’ he said. ‘I know it gets boring but he maybe is worried, he is concerned. It is normal. It is not nice for Daniel to hear all that history of course. ‘Do I have to reassure him? No. It is like in football when the sporting director or president says “No, the manager is going to be here and we trust in him” and next game… OUT. If you reassure something it is because you are thinking different things.